Excel Consultant’s expert team explains how Microsoft Power BI (Business Intelligence) software can help you give more accurate, attractive presentations. Imagine you’ve been selected to give a pivotal presentation to your shareholders, prospective partners, the press, or another important audience. Under all this pressure, with limited time, you struggle to find the exact statistics you need, frantically attempt to put together an analysis, and then you’re faced with the final problem: how to make your presentation actually presentable, organized and visually appealing. This technological terror is probably all too familiar for many. Business executives are outstanding leaders, exceptional strategists, and skilled speakers. With all of this expertise, they shouldn’t also have to be skilled researchers, accomplished analysts, and graphic designers. Are You Ready to Boost Your Presentation Power? Thankfully, with the right software, you can cut down on hassle and create an excellent presentation to wow all audiences. At Excel Consultant, our Microsoft maestros are on a mission to help clients resolve their everyday corporate conundrums with sophisticated software solutions. To that end, we’ve put together a series of four blogs on practical problem solving with Microsoft Power BI. In this third installment, we go over how this state-of-the-art software suite can help you prepare for and pull off prime presentations. You might be wondering what BI (Business Intelligence) software possibly has to do with presentations? Isn’t that all about putting together datasets, making projections, assessing revenues, and other tedious details no one outside your executive team could possibly be interested in? The short answer is: nope! Microsoft Power BI is an incredible instrument for both internal and external operations, and especially for presentations. The essence of any meeting, seminar, or lecture is sharing information. You present the data your audience needs to make decisions—hopefully, ones that benefit your business! Of course, the concepts, ideas, and pitches you offer play important roles, but these are relatively meaningless if they’re not backed with cold, hard facts. Investors, stakeholders, bosses, and colleagues want you to support your stances with irrefutable information. Fundamentally, BI is a digital system designed to store, access, cross-reference, interpret, and display vast quantities of data, selecting out the most relevant statistics to make your life a little simpler. In this way, BI is the perfect presentation tool. In the same way that it can provide crucial figures to executives to help them manage the business, it can generate the streamlined snapshot audiences need to see to get on board with your business. Microsoft Power BI is particularly well suited to this purpose, fitted with an array of features designed with data presentation in mind. You’ve probably heard the phrase about “putting your money where your mouth is.” In the world of BI and presentations, we could coin a similar saying: you need to put your reports where your reputation is. It’s all well and good to say that your sales are growing, your inventory is perfectly optimized, your team is tremendous, and your client list is expanding exponentially, but can you demonstrate this as fact? Rather than assuming an audience will take you at your word, you can pull out your secret weapon: reports! In the pre-Power BI world, even the concept of trying to put together a report might have elicited a groan. However, this software suite makes this process easier than ever. Power BI has unprecedented integration with dozens of other applications, an automatic data refreshing service, and the computing power to swiftly compile statistics. These functions make creating reports a cinch. Microsoft explains: “a Power BI report is a multi-perspective view into a [particular] dataset, with visualizations that represent different findings and insights from that dataset.” Gone are the days attempting to craft an exciting presentation around pages upon pages of numbers. 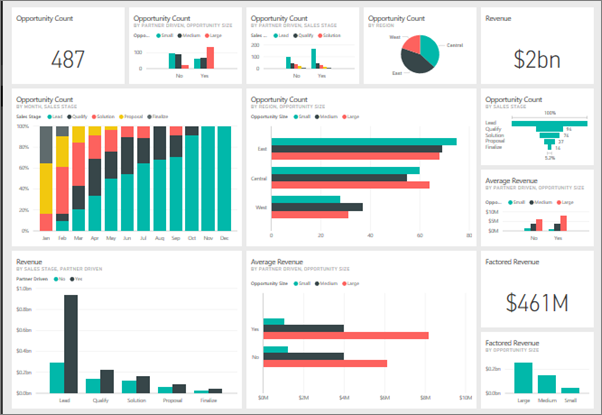 With Power BI, your reports can be more accurate and aesthetic, bringing business presentations into the twenty-first century. Another key aspect of Power BI is its built-in capability to collect and cross-reference data. This software does the busywork for you and provides an intuitive interface for you to select the statistics you need, freeing up your time and energy to perform more advanced analyses. This is where the “intelligence” part of BI comes into play. With Power BI at your fingertips, you’ll be able to craft an even more coherent, convincing argument with your data. You might have noticed the modern trend toward data visualization. With business audiences accustomed to interactive webinars, entertaining white papers, and innovative infographics, presenting your information beautifully is no longer a luxury but a necessity. Fortunately, Power BI is ahead of the curve when it comes to visualizations. This software suite can illustrate nearly every piece of information in your arsenal. Employees can check out relevant charts on their dashboards, executives can use pie charts to make predictions, customer service representatives can track their leads across maps, and more. Perhaps the best use of visualizations, however, is for presentations. After all, as stated above, the fundamental purpose of these gatherings is to communicate information, and in an increasingly digitized society, many people best understand data when it’s presented graphically. 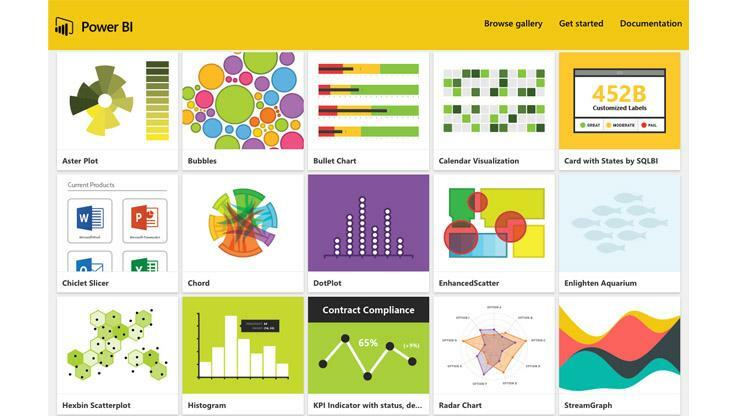 According to Microsoft, “data visualizations (aka visuals) allow you to interact with your data to find business insights.” You can create a wide variety of visuals in Power BI, including area charts, bar and column charts, combo charts, doughnut charts, gauge charts, KPIs (Key Performance Indicators), and more. No matter what type of information you need to present, Power BI can help you do so accurately and attractively. Excel Consultant offers customized consulting, advanced programming, Microsoft-certified training programs, free help resources, and more. 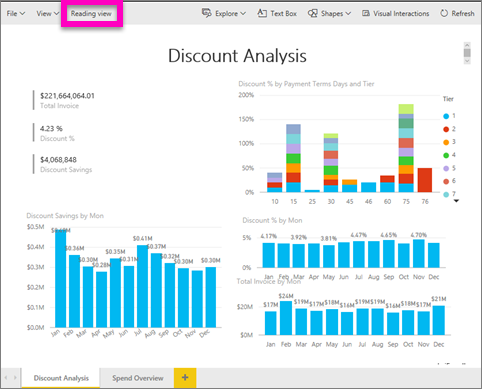 We’d love to help you make the most of Power BI. Contact us today to find out more and schedule an appointment! Posted on January 5, 2018 Posted in Blog Category and tagged Power, Access, Business, Free, Business intelligence.